If there’s any possibility of finding a little gem hidden amongst fuzzed out hooks and fluttering melodies, then Milwaukee’s Filter Free Rodeo might be the treasure to find. The three piece are a primal, hard hitting post-punk outfit, who in the their own words create psychedelia-tinged scuzz pop. Although things started back in 2011 a little more raw and angst-driven with the band’s first EP Filter Free Radio, it became something a little more refined with the sophomore release Parabolabola. EP number three Local Motives was given life in 2014, seeming to pick up a little more of the original rawness and upping the fuzz – check out Shag for proof, before a ripper of a tune in Wet Cigarette. 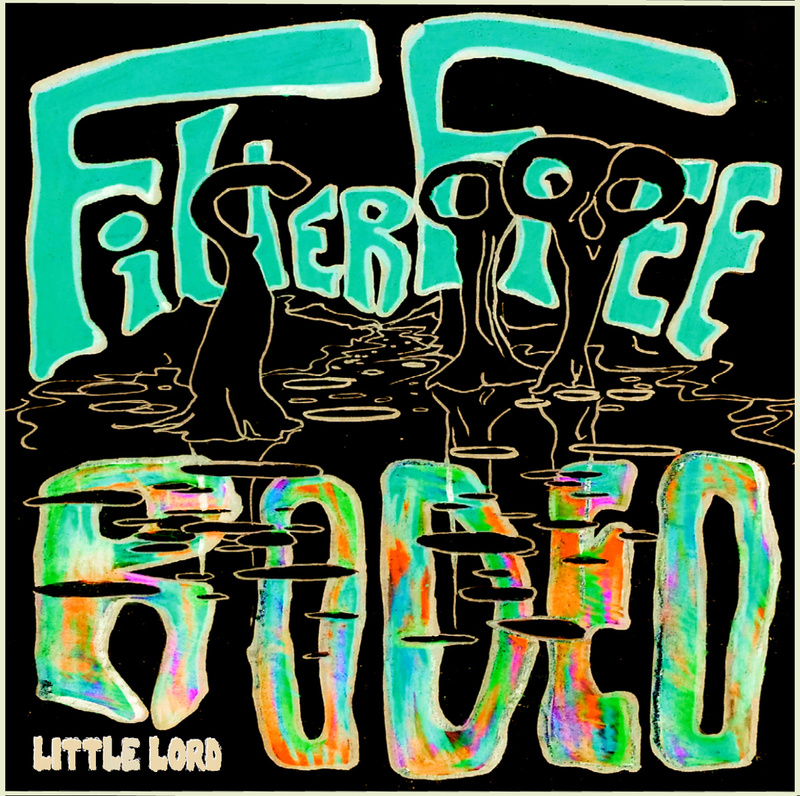 So after releasing a split cassette with the Rashita Joneses earlier in the year, Filter Free Rodeo have gone a little darker with their brand new track Little Lord. The creative muse for this one comes from one of the longest unsolved murders in the US, and which is still being investigated in the band’s long time home of Waukesha, WI. Don’t let the creepy tale deter any intention of listening though, the tale has served its purpose well in sound.